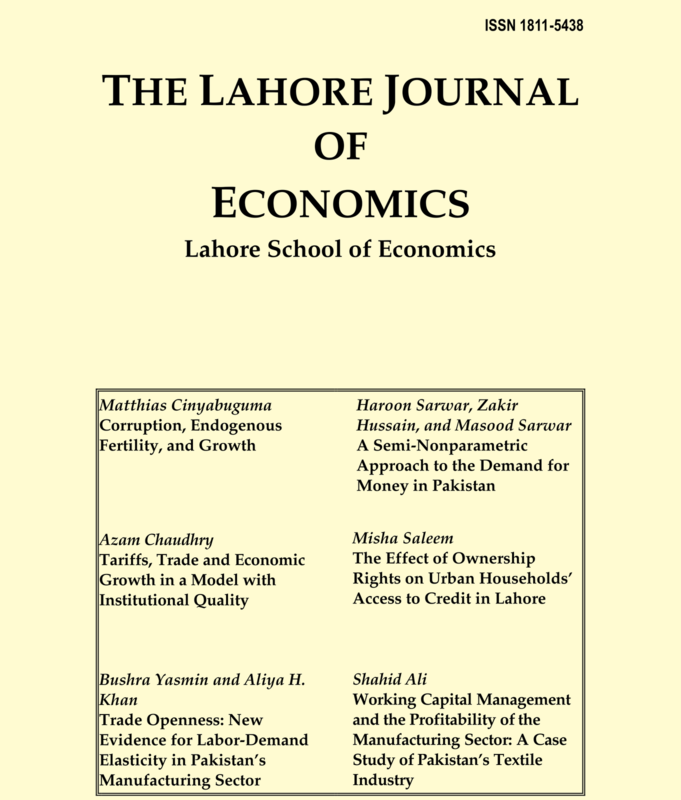 The Lahore Journal of Economics, the major publication of the Lahore School of Economics is a bi annual journal focusing on the areas of economics, finance, economic history, and socio economic issues. It is still relatively young as far as histories of journals go, having been around for ten years now. From small beginnings, when an entire volume of the Journal was no more than say 50 pages, it has come a long way. Today we are indexed in the Journal of Economic Literature and the Massachusetts Institute of Technology (MIT) and British Library in the UK are some of our illustrious subscribers. Otherwise we have exchange agreements with some of the leading journals of the world. My own personal role in this endeavor has been very satisfying from the word go. Editing and publishing has always been a passion with me and through general work I have come across several interesting personalities in the field. Modesty aside, one can assert with some confidence that it is currently one of the leading economic journals in the country. Yet the sky is the limit. 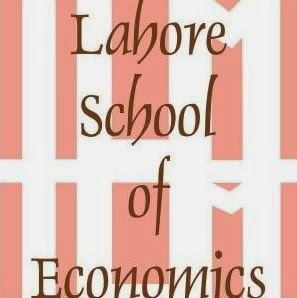 Lahore School of Economics students and faculty like to get together to spend some time in an informal setting where every one have an opportunity to get to know each other more, at the end of each term besides many other occcassions. The event was planned on December 18, 2004, the last day of the term. On the occasion, music program, games, many colorful activities and sumptuous food were arranged. Main Campus is ideally situated for such events. The environment in the Main Campus is open, spacious and naturally landscaped, with flowers and decorative shrubs all around being a feature. Transport had been arranged for the students of the City Campus to join the festivities at the Main campus. Spanking new and spacious Car Park has been added at the Main Campus, Lahore School of Economics. Similarly, at the City Campus, arrangements have been made for students to park their vehicle in the Liberty Parking, adjacent to the School premises. At the end of each term, the Lahore school likes to get together to spend some time in a completely informal setting where one can have the opportunity to get to know students from all belt ranks. Main Campus is particularly approachable at such times! Transport will be arranged so that students at City Campus can be a part of the event at the Main Campus on December 18, 2004. Be ready to be part of another colourful tradition at the Lahore School! Students may know that just because information is plentiful online doesn't mean it's reliable. Those who do research (class projects) online these days, must read this CNN story. Lahore School students and alumni seem to inhabit exclusive (invitation only) networking site Orkut. Many LSE “communities” are found there. 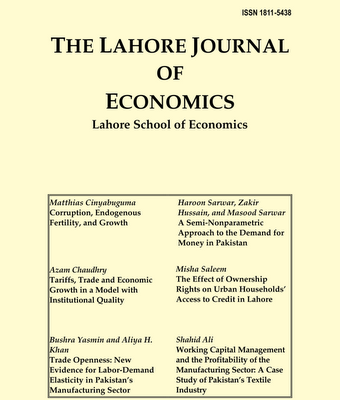 Some that I could track are here: LSE – 2003 by Shamoon Ahmad, LSE MBA by Sami Ur Rehman, LSE 2007 by Usman, LSE 2004 Batch by Hassan Afzal, LSE 2006 by Haider Ali Turab, LSE Batch of 2007 (Sec F) by Raza Qadri and many more. Only memebers can get to these pages. PS: If you are still not there and are awaiting invitation, email this editor to get one. 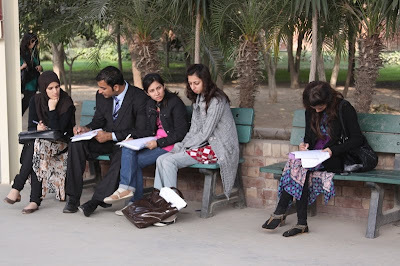 Most students make every effort to go to classes well prepared by doing the course assignments. Those who don't understand something or find it hard to comprehend, ask questions. They use teachers and teaching assistants as their resources for learning. Being aware of what you don't know is at the heart of learning and can lead to search for new knowledge and solutions. Many students make out a study schedule – very realistic, short-term for something they want to accomplish on day to day basis, or over the next few days that contribute to their longer-term goals. Accomplishing something, even a small thing, each day helps feeling of making progress. I find many open to new ideas and new experiences. Getting involved-with academics, social activities, friends, and with themselves. Those who are more involved in life, they seem to be ahead of others who are not. Of course nobody can do everything all the time and that every one has limits. The first sign of students found in trouble academically is that when they have been missing classes. Are you a Lahore School alumni or current student? Do you have activity photographs; showing life on campus? We want to upload them here? Just email them to the editor. Or, drop a hard copy in editor’s office.